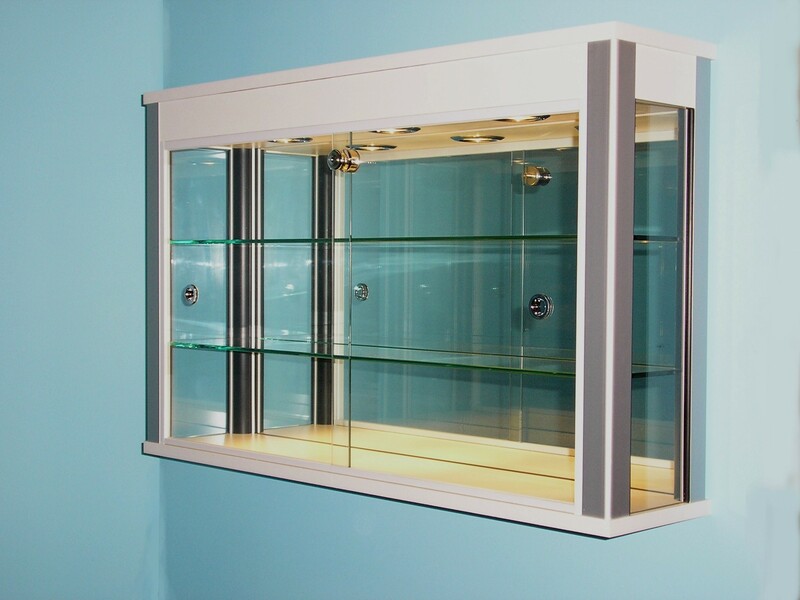 Glass Display Trophy Cabinets schools are a great way to display your School Trophies, accolades and the Children’s work as well! Wherever you want your cabinet to be situated, in your reception, lobby or corridor you can be sure that your visitors will be impressed and your Children safe. 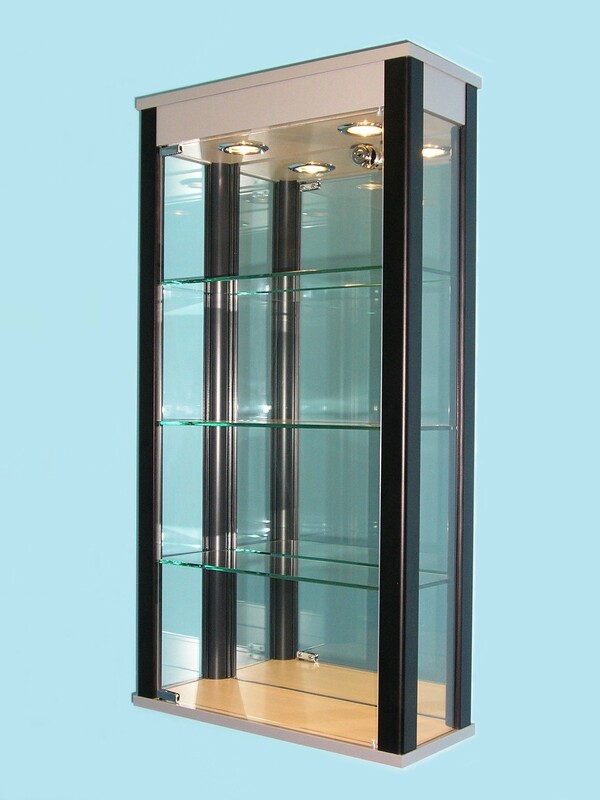 We can design your School the ideal Glass Display Trophy Cabinet using the DesignEx system; our unique corner posts allow us to design cabinets that are, bespoke and very strong. The corner posts have the added benefit of hiding any lighting cables and unsightly fixings allowing the viewer to concentrate on those all-important trophies. DesignEx also supply a range of locks helping to ensure that your trophies remain safe and secure while on display. The heart and soul of any school are of course the children, the DesignEx system allows us to design and build glass display cabinets of any size with shelves at an appropriate height for all age levels, whether your displaying models, pottery or other important pieces of work you can be sure its kept in a safe space while on display. Do your cleaners a favour, internal dust can be a real problem with display cabinets, each DesignEx cabinet comes with a “rebated lip”, fitted to the corner post which meets and conceals the edge of the sliding glass doors this is highly effective way of preventing dust entry. Beautifully crafted and matches our other furniture perfectly. It took us a long time to find the cabinet we wanted but was well worth the wait. The design is modern and sleek, yet it sits perfectly amongst my traditional oak furniture. I now have ample storage, robustly made to my personal specifications. I really appreciate all your efforts. The lighting in particular is a revelation and really makes the world of difference when displaying glass. In short, my new cabinet is magnificent. Thank you so much for going the extra mile to obtain the Maple board and fabric back panel in order to create the unique design that I had envisaged. I just wanted you to know how thrilled and pleased I am with the cabinets. They look superb and perfect in every detail. You interpreted my specification precisely and your standard of workmanship and quality of finish are second to none. Just wanted to say THANK YOU VERY MUCH again for the wonderful display cabinet! The best thing that I like about the cabinet is the lighting effects, they are perfectly fitted! You did a fantastic job and I can’t thank you enough for the wonderful cabinet. Tim, the cabinet has just been delivered safely and I couldn’t be more pleased with it. Many thanks for your great service, and I look forward to populating it with my models over the coming weeks. It is beautifully made and extremely rigidly constructed, and will easily last out my remaining years. Many thanks for the delivery of the two superb cabinets. I am really pleased with them and they fit perfectly in the room… …I am now rearranging the cars in order to get all of them fit, which is all part of the fun of displaying the collection. The cabinet arrived safely and now sits in pride of place in my living room. I just wanted to let you know that I am very pleased indeed with your product and to express my appreciation for your help and guidance in developing the solution to my requirements.